Grief is one of the most difficult experiences of life. We are rarely prepared for the intensity of some of the emotional reactions following the loss of a loved one. We sometimes wonder how we will be able to go on. In 1983, Dr Bill Webster's young wife, Carolyn, died very suddenly, leaving him to cope with his loss, and to care for their 2 boys, then only 9 and 7. At first, Bill seemed to be doing well, and many commended him that he appeared 'so strong', and 'doing well' at the time of the death. But that apparent strength was, in fact, numbness, and three months after his wife's death, when the shock of her sudden death wore off, Bill felt like he was falling apart. "That was probably the worst time of my whole life" writes Dr Webster. And the worse thing was people's expectations seemed to be that, by now, after three whole months, I should be 'getting over it'. What was wrong with me? Why couldn't I pull myself together?". In the years since his wife died, Bill has had the privilege of helping many people going through their own grief journey. They have told him that what he lped was not only that he knew something about grief, but that he had 'been there' himself. 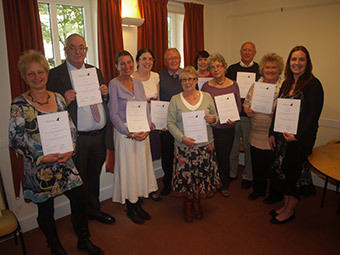 Grief Journey South Somerset is a 6-week programme, which runs three times a year to provide support and reassurance to the bereaved. 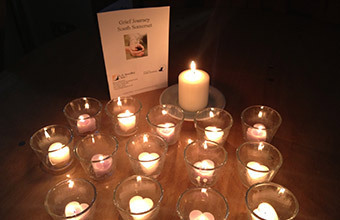 Each week is structured to provide help and guidance through the many aspects of the grief process, and our team of trained volunteers can help you to find confidence in adjusting to life after the loss of someone special. The programmes are free of charge to attend and are open to anyone in the local area who has suffered a loss, or who is supporting friends or family members in such a situation. You do not need a referral from a medical professional to attend. Please contact us on 01460 73229 or see our News page for more information and start dates of the next available programme. Our online portal gives access to Dr. Webster's grief programme for those who are bereaved or supporting someone through their loss. It offers an array of resources utilising a variety of media, and provides support and reassurance 24 hours a day.